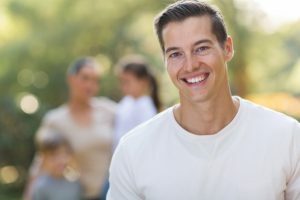 How Can I Protect My Dental Veneers in North Naples? Dental veneers are a wonderful investment — and if you’ve recently had veneers in North Naples, you will want to make sure you’re protecting your new restorations to enjoy a beautiful, confident smile for as long as possible. But how can you keep veneers from cracking, breaking, and staining? It’s easy when you follow Dr. Mark Makram’s expert advice. Stick around, because we’ve got our top 5 veneer maintenance tips in this week’s blog post! After you have had dental veneers placed, keeping up with your dental hygiene routine is as important as ever. It’s true that your new restorations can’t decay — but the teeth underneath and around them can. And your gums are always at risk of developing gum disease. Remember to brush your teeth for two minutes, after each meal or at least twice a day, and floss daily. Dr. Makram will recommend you brush with a non-abrasive toothpaste to keep your veneers clean and sparkling. Make sure it’s a formula that contains fluoride, which strengthens tooth enamel to protect your smile from the acids and bacteria that cause decay. And if you’re not using a soft-bristled toothbrush already, it’s time to make the switch. Use anything harder and you run the risk of scratching or marring the dental porcelain. If you play contact sports or grind your teeth at night (the condition known as bruxism), you run the risk of breaking or wearing down your dental veneers. Avoid chipped, cracked, and broken veneers by protecting your smile with a custom-fitted mouthguard or sportsguard. Even though dental porcelain is just as sturdy as your natural tooth enamel, you will still want to avoid putting your veneers through excessive force or pressure to keep them from coming loose. Try to shed habits like biting your nails, chewing on pens, and eating ice. Additionally, it’s a good idea to stay away from (or at the very least be careful with) eating excessively chewy or crunchy foods, like caramel, hard nuts, and when biting into fresh fruits and vegetables. Last but not least, make sure you see Dr. Makram as recommended to maximize your veneers’ lifespan. We will schedule an appointment soon after their placement to check in and make sure everything is as it should be. Then, we will recommend you come in for a cleaning, polish, and exam every six months after that. These preventive appointments will help us catch and solve any issues right away. If you have remaining questions about veneer maintenance, please don’t hesitate to get in touch with your cosmetic dentist in North Naples. We want to help you get the most out of your new, beautiful dental veneers! Request an appointment with Dr. Makram today. Comments Off on How Can I Protect My Dental Veneers in North Naples?